The global nutrition community has recommitted to the 1000 day agenda with energy and enthusiasm in recent years, but too targeted a focus could risk missing other critical development windows that ensure a healthy child becomes a healthy adult. A particular challenge is the emerging adolescent girl agenda, where little progress has been made to meet the unique health and nutrition needs of this vulnerable age-group. This blog post highlights the burden of nutritional deficiencies of adolescent girls and the need for the global community at every level to do more to address these needs. Prioritizing the health of adolescent girls would ensure the cognitive, economic, and developmental potential of both current and future generations is fully realized. 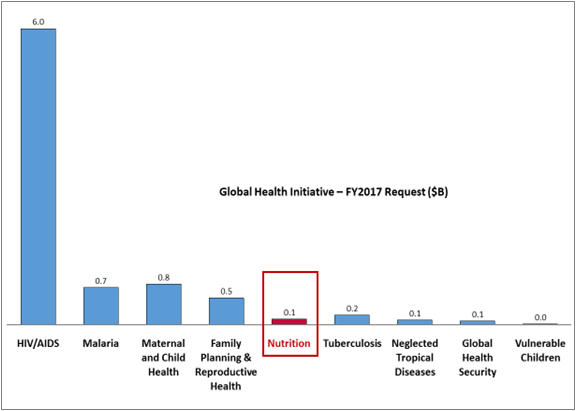 Shan Soe-Lin and Robert Hecht, along with Austin Jaspers, have produced a report for the CSIS Global Health Policy Center, highlighting the benefits of investing in stunting, reviewing past US nutrition investments, assessing current the US government nutrition strategy, analyzing the barriers to US commitments being fully realized, and proposing possible options for the next Administration.